Are you looking for roots rock done with a unique approach from the original „Bohemia“? Leave it to Václav Havelka and his band Please The Trees with hundreds of concerts and albums made in the United States under their belt. Originally from the forests of a mountainous region in East Bohemia, lead singer and songwriter Havelka has for some years been one of the most active figures on Prague’s independent music scene. Please The Trees was born out of his dream of making truly international rock music. During their numerous visits overseas the band worked with acclaimed producers such as Jonathan Burnside (Melvins, Faith No More) and Chris Koltay (Akron/Family, Liars, Swans). 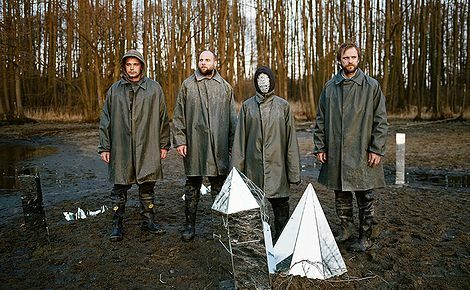 Their third album A Forest Affair (2011) won Best Alternative Album at the Anděl Awards and was shortlisted for a Vinyla Award.